Would you say that 1300 PLASTER sounds attractive enough to capture your prospect’s attention? We all know plaster to be a composition of water, lime and sand to be used for coating ceilings, walls and various partitions of a home. Often times it is used to conceal defects present on a given surface. People of the Hindu religion would simply refer to it as plaster work or sukha HuA palastar. Where are we going with this? Well, if you happen to be an Australian business owner in the plastering industry, then having a powerful phone word like 1300 PLASTER can make a huge difference to your sales margin. Phone words such as 1300 PLASTER can be seen as cutting edge as it provides visitors with a clear cut solution in dealing with everyday problems such as cracks in their walls, texture changes, holes from plumbing work done, having drywalls installed, etc. There will be no doubt in their mind that by calling this number, they can look forward to doing business with someone who knows what they are doing. You’ve heard that right. Other business owners who already own a 1300 number, reported a massive influx of calls due to the fact that their customers trust them, respect them and regard them as professionals. This is based on the conception that a business who owns a 1300 phone word like 1300 PLASTER is here to stay. Besides, they would have drawn up a contract to secure this phone number name. It makes logical sense to do business with a plastering company who think of their customers first by making it easy for them to contact their plaster business. 1300 phone number names offer so much more than what you’ll get from a standard phone number. The primary reason as to why you should opt for a phone word such as 1300 PLASTER, would be contactibility. Your prospects would not even have to think twice about picking up their phones and calling you once they need plastering work done for whatever reason. Easily divert your calls to your mobile phone and never lose a sale again. This is huge. The last thing you want is for your customers to go elsewhere as they struggled to get hold of you. Routing your phone calls to another outlet is just one of the many options made available to you by 1300 Easydial. You can even move your 1300 PLASTER phone word with you in case you need to relocate at some point. What makes possessing a 1300 phone number name even more attractive is that you do not have to worry about hidden costs, keeping track of call reporting, or needing additional software or hardware to get yourself going. Our advice to you is to secure 1300 PLASTER right away before someone else gets the idea to do so. Just imagine getting 6 times more calls than anyone else in the plastering business who advertised in the newspapers. The sky is the limit. Why wait? 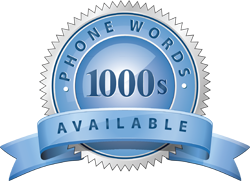 Call 1300 Easydial to secure this prestigious phone word right now.